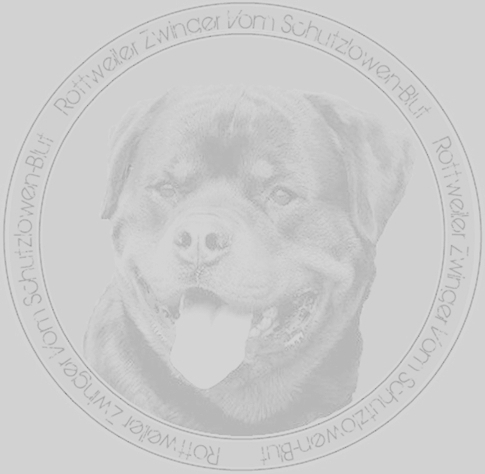 Congratulations on your new German champion rottweiler puppy from Atlantahaus Rottweilers and Zwinger Vom Schutzlowen-Blut! Switching environments can be stressful for the little ones. Because of this we have taken the time to put together a list of products that our rottweiler puppies have been raised with so that you can purchase the same products, or similar products, and make the acclimation process as smooth as possible for your new family member. Please use the following list as a reference for feeding, supplements, and vaccinations. Victor Dog Food (Corn, Wheat, Soy, and Gluten Free) – We have recently switched over from Blackwood 2000 to Victor Dog Food and are seeing some very promising results. Blackwood 2000 was a 26/18 food that we felt was a little too high in protein and was therefore making our dogs run a little too hot for our climate here in Georgia. We have switched over to Victor Dog Food's 24/20 High Energy and are combining that with Victor Dog Food's 24/14 Chicken, Lamb, and Rice. THE RESULTS HAVE BEEN AMAZING!! Victor is Corn, Wheat, Soy and Gluten FREE and is rated a 4 out of five stars with DogFoodAdvisors.com due to their quality ingredients and no fillers as substitutes for meat proteins. We have been very pleased with everything that we have seen in our dogs since the change, but the stool improvements, coat improvements, and lower body temperature due to the lower protein content have been the biggest pleasures! For more information on Victor Dog Food and the products that they provide feel free to visit their site by CLICKING HERE. Ester C Vitamin C Supplemental Powder – We use the powdered version but the capsule would work just as well. We start the rottweiler puppies off with 500 mg per day and gradually work them up to 1000 mg per day by 2.5 months of age. This is a temporary immune system booster and this product should only be given until 4 months of age in order to avoid it being counterproductive for your rottie puppies immune system. Pyrantel Pamoate – This is a de-worming product and will be administered by your vet. It comes in many forms and brands. Often vets will use the equine version of the product, which is fine. We use the liquid suspension on our rottie pups for accurate measurements. Your rottweiler puppy has already been de wormed at the ages of 2 weeks, 4 weeks, 6weeks, and 8 weeks of age. Your vet may wish to do a final de wormer at 11 weeks old when it is time to administer the puppy’s third parvo/canine distemper booster vaccination. Fort Dodge – Duramune Max 5 – Canine Distemper/ Adenovirus Type 2/ Parainfluenza / Parvo virus Vaccine (A comparable vaccine will be o.k., but please tell your vet to issue a vaccine WITHOUT LEPTO). Your vet will likely already use a vaccination that DOES NOT CONTAIN LEPTO for rottie puppies, but it warrants a conversation. Your puppy has already been given his/her vaccination at 5.5 weeks old and at 8 weeks of age. The rottie puppies will also require a vaccination at 11 weeks old and 14 weeks old, once at their new home. A lot of times our customers will tell us of their immediate plans for their new rottweiler puppy after leaving our kennel. We are often shocked to hear that most of them plan to go directly to the Pet Store with their new puppy to buy toys, collars, etc. We understand that this is just part of the excitement of welcoming their new family member into their homes and that there is no harm intended, but we immediately tell them that taking them there could be the worst decision that they ever make. We shouldn't be so surprised by this common mistake, because outside of the world of puppy breeders and rottweiler kennels the effects of Canine Parvovirus are not as well known as they are to those who have to avoid them constantly, like ourselves. We decided to put this footnote on our New Rottweiler Puppy Acclimation Document for this very reason. Canine Parvo Virus is one of the deadliest diseases that a rottweiler puppy can catch. Rottweilers are particularly susceptible to this disease, along with all of the black and tan breeds (Rottweiler, Doberman, Daschund, etc.). It is unknown why these breeds are more susceptible to the virus, but they are. For this reason, your rottweiler puppy should not be taken out in public places until the age of 11 weeks old, after having received his/her third Parvo Booster vaccination. We also advise that you administer a fourth and final Vaccination shot at 14 weeks of age in order to complete the puppies foundation against this virus. The puppy should, however, be taken out in public after the 11 week old shot, because weeks seven through thirteen are the most influential weeks of your rottweilers mental growth of it's entire life! It is a balancing act, but you must work with your rottweiler puppy inside the safety of your home environment and backyard for the first three weeks that you have them and give them as much mental stimulation as possible in order to compensate for the lack of new environments, smells, places, etc. in order to keep them safe from the virus. Then for the next two weeks you should take them out quite often to relatively safe external environments and allow them to develop a healthy curiosity for new sounds, smells, people, animals, etc. while they are still in the most exploratory mental stage of their life. By following this plan, you will be able to maximize your puppy's mental growth while keeping him/her as safe as possible throughout.